A group of eight students from Raffles Girls’ School (Secondary) formed Project CONSOLEation to work on a Community Problem Solving project as part of their Research Studies Programme. Through this project, they highlight gaming addiction’s harmful effects and healthy gaming habits among parents and youth in Singapore. How many times have you said that to your kid, only to be met with resistance and sulking? 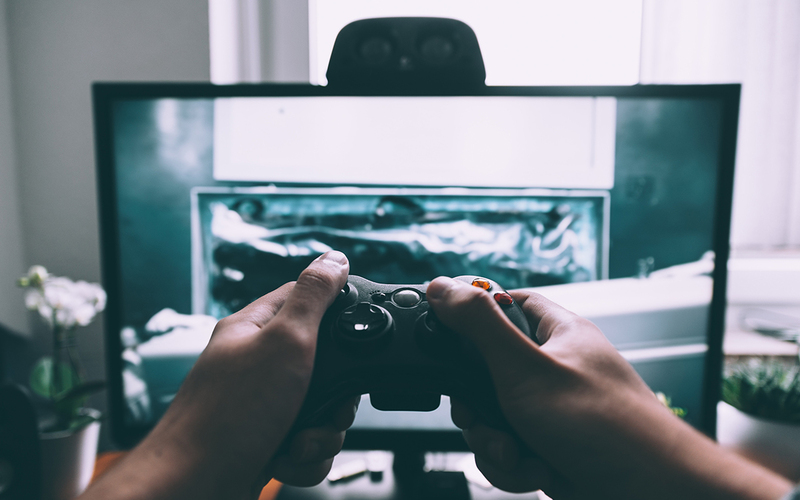 With the increased access to technology, addiction to gaming is becoming more common, especially amongst adolescents growing up in a digital age that exposes them to more gaming platforms than ever before. Gaming has been a popular pastime amongst people of all ages. It’s a fun activity that provides temporary escape and has been proven to relieve stress. Graphics and gaming content are designed to be enjoyable, but this enjoyment can turn into an addiction when users engage in it with increasing frequency in prolonged sessions. If your child seems to favour gaming over other interests and even neglects their daily activities such as completing schoolwork, choosing to go out with their friends or even refusing to join the rest of the family at mealtimes, chances are that you have a gaming addict on your hands. In a study published by the Academy of Medicine, gamers in Singapore spend an average of 20 hours a week on gaming, as compared to about 13 hours for American youths. Among this group, about 1 in 10 displayed symptoms of obsessive or pathological video gaming, which caused significant disruption to their regular lives and health problems including wrist pain, over-straining of eyesight and spinal curvature due to poor posture. Gamers in Singapore spend an average of about 20 hours a week on gaming, compared to 13 hours for American youths. Similar to other addictions, gaming addiction can result in people shying away from family and friends as they increasingly spend time isolated in a virtual world they have created for themselves. This addiction can also cause a decline in academic grades as they begin to neglect their responsibilities and lose focus on their studies. One big telltale sign is an excessive usage of devices. What would you count as excessive? When your kid is unable to function without being ‘connected’, or they’re almost always glued to some screen, or it’s a war getting them off their computer. Have you noticed your child being unusually jittery and unfocused when it comes to even the simplest tasks? That feeling of restlessness is likely caused by feeling over-stimulated from their games, where there is action happening every second. Is it a war getting your child away from the screen? Skipping meals, forgoing sleep and experiencing a decline in hygiene are also clear signs that gaming has overrun your child’s life. If your once-cheerful and easygoing kid is showing uncharacteristic aggression especially when it comes to defending their gaming habits, it’s time to step in. Don’t let the addiction get to the point where they begin to exhibit decline in their physical and mental health. We define healthy gaming as “moderation of the amount of time playing digital games such that it does not strain one’s overall physical and emotional health or negatively affect one’s relationships with others”. Parental supervision of kids playing games is also highly recommended. For children below 12 years old, ensure that they do not spend more than 2-3 hours gaming daily. This helps them avoid excessive gaming. If you are dealing with a teenager, communicate the idea that gaming is acceptable, within boundaries. Daily chores and responsibilities need to be attended to before gaming, and even then, they need to practice healthy gaming by taking regular breaks. By sitting well, i.e. with shoulders and back straight, your child will feel less fatigue. It also reduces stress and pain on the spine, decreasing the chances of back aches and injuries. The next time you spend time with your child, try to find out what appeals to them and learn more about their interests and preferences. This will help you as you introduce healthy gaming to them. Encourage them to spend more time with family and friends outside, as it helps them develop better interpersonal and social skills. Use what they have shared about their interests to find a new hobby for them – one that takes them away from a screen. If they enjoy gaming with a team, suggest a team sport they can pick up! No parent wants their child to suffer from any addiction, and a gaming addiction is increasingly prevalent in our digital society. While the battle may seem like it can’t be won at times, start small by encouraging your child to interact with you and be open about communicating your concerns while laying down reasonable ground rules. Take it one step at a time, and you’ll soon find your child practicing healthy gaming habits! © 2018 Project CONSOLEation. Adapted from Gaming Addiction and Healthy Gaming Habits by Project CONSOLEation.